Aerospace and Defense - SteepGraph Systems Pvt. Ltd. » SteepGraph Systems Pvt. Ltd.
Globalized product design and development, increasing product complexity, reduced cycle times and cost management are the biggest challenges of Aerospace and Defence Industry. The Aerospace and Defence industry has a large team and performs several tasks to address new modifications in order to configure parts of the aircraft systems. It is not easy to manage and coordinate between engineering design, review, approvals process. As the industry cannot ignore the security measures therefore, it becomes more difficult to access certain documents to external authorities. SteepGraph Systems have recognized these problems and as a part of the solution, engineering workflow requirements have been analysed with effective mappings of role, function and access control. Based on role, function and access workflow has been designed that ensures that entire engineering process is controlled and automated. The solution is capable of taking care of data management aspects too. A solution to manage structure of configurations and its release process is developed for configuration management. At SteepGraph, we understand your Business Goals, Business Processes and Challenges. 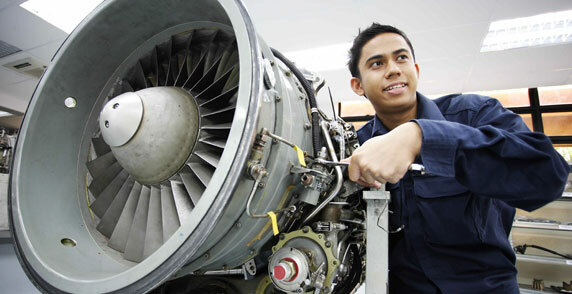 We have vast experience serving customers in aerospace industry. It helps us to understand industry’s business processes, functional best practices, compliances & standards, growth hindrances and key challenges of the industry. Apart from industry functional knowledge, SteepGraph has specialized skills in Enterprise Software and IT infrastructure related to PLM (Product Lifecycle Management), Business Process Management, Project Management, Product Data Management, Collaboration, Efficiency Improvement, Supplier Management and Enterprise Resource Management. With Conglomeration of Industry skills and Software skills, SteepGraph helps its customers to achieve measurable growth and competitive edge with consulting, Lean Enterprise Process Implementation, Enterprise Software Integration, Training and Support.